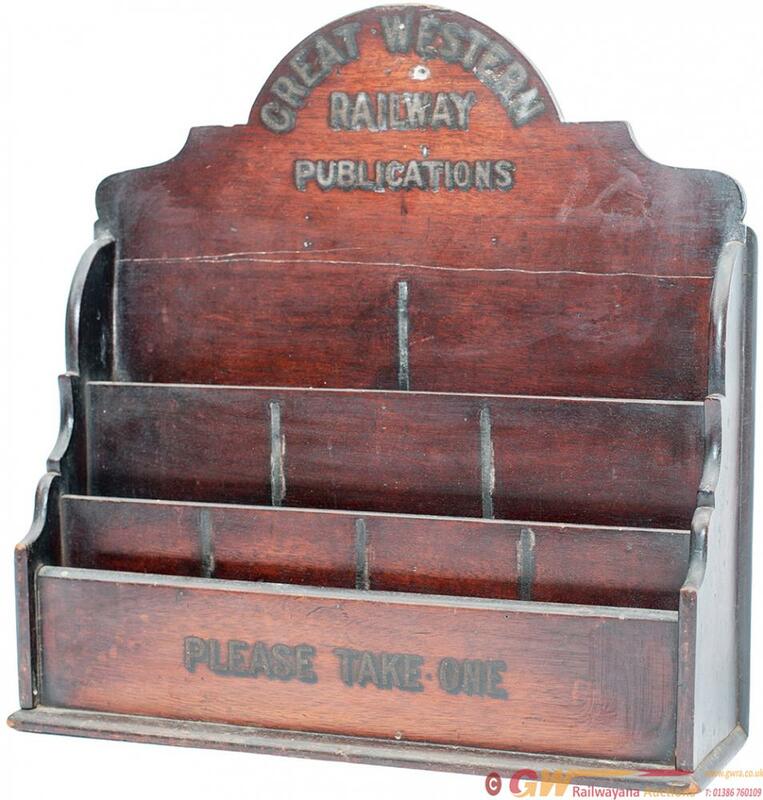 GWR mahogany letter rack, Great Western Railway Publications PLEASE TAKE ONE. Branded GWR to base and in good condition although the gold lettering a little dirty and compartment dividers are missing. Measures 15in x 16in x 4.5in.